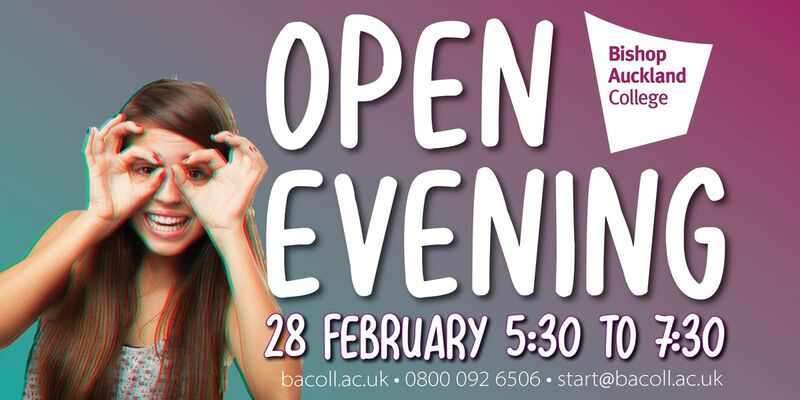 Bishop Auckland College is a leading provider of vocational courses in the North East. It specialises in post-16 A-Level equivalent courses in a range of areas includingArt and DesignBusinessChildcareHealth and Social CareIT and computingMusicPerforming ArtsPhotographySport and Uniformed ServicesBishop Auckland College also offers a range of high-quality courses in Beauty Therapy, Catering, Construction, Criminology, Hairdressing, and Motor Vehicle.At South West Durham Training (SWDT) in Newton Aycliffe, we offer a range of engineering courses. SWDT is one of the only OFSTED ‘Outstanding’ Engineering centres in the UK. It offers a range of courses including Electrical & Mechanical Maintenance, Machining & Toolmaking, Manufacturing, Fabrication & Welding, and Plumbing.The college offers a dedicated and highly qualified apprenticeship service, offering apprenticeships in many areas including:BarberingBeauty TherapyBusiness Administration Carpentry CateringChildcareConstructionHairdressingHospitality PlumbingSocial Media and Digital MarketingMore apprenticeships are also being developed for L4 and L5 qualifications. At the moment we offer L4 apprenticeships in Business & Administration and Management. 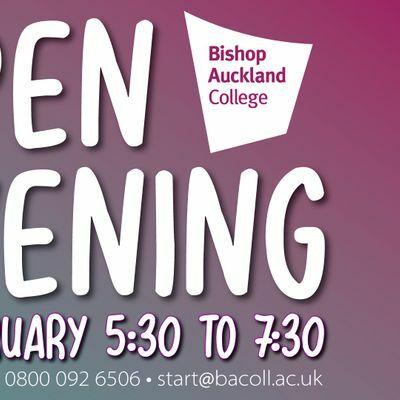 Our open evenings are a great chance to chat to our apprenticeship team about new opportunities.Bishop Auckland College offers an ever-increasing number of higher education courses in a range of areas. These include a range of Higher National Diplomas (HNDs) in areas including Art and Design, Business, Music, Performing Arts and Public Services. In partnership with the University of Sunderland, it also offers Foundation Degree courses in Counselling, Education & Care, and Health & Social Care.Adult learners can also benefit from a range of part-time courses in many different vocational areas. For adults looking to get into higher education, we offer a range of ‘Access to Higher Education’ courses in the humanities, social sciences, sport studies and health sciences.You will have the opportunity to chat with curriculum staff and tutors, our apprenticeship team and careers staff at the event.